Best Buy is offering Guitar Hero Live at special Black Friday price of $69.99 ($30 off MSRP) starting now! 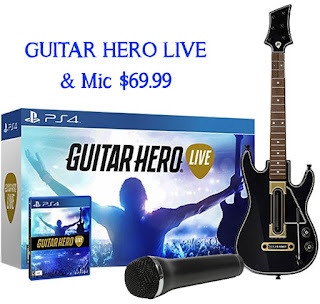 With the purchase of the game, you will also receive a free USB mic that can be used to sing along with the guitarist. This matches MOST Black Friday prices, although Target is advertising it as $59.99 as a doorbuster on Black Friday. Great time to get it if you don't want to battle Black Friday!